Tonight I have been thinking of my brother Dan and of my cousin Brian, both family members who died unexpectedly at a young age. My sister wrote about it in her blog, and posted a photo of the two of them. I look at them, sitting there at a family picnic, living, breathing, talking. Who would ever think that a few short years later they'd both be gone? Our friends are staying with us while they care for their 26 year old daughter who is dying of cancer. We never know what is coming in life. 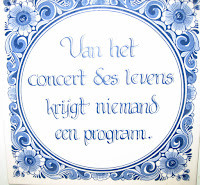 I have a Dutch tile in my kitchen with a sentence that translates to, "In the concert of life, no one has a program." 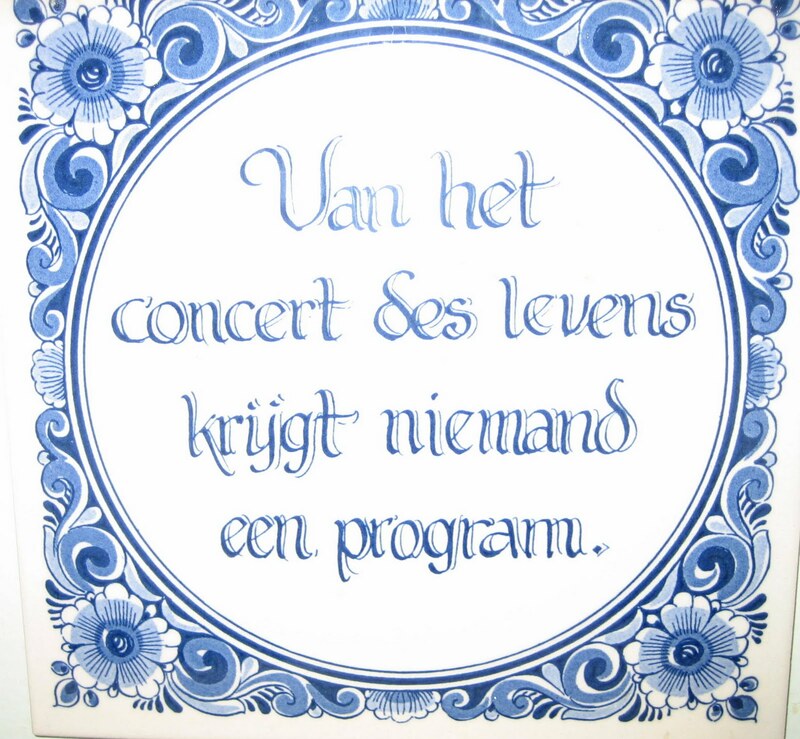 Isn't that the truth? Except God. In a 9-11 sermon (starting at 46:57) that our pastor gave he talked about the hope we have in Christ, even when faced with the horror of that terrorist attack. We don't understand why these terrible things happen but we know it can't be because God doesn't love us (from The Reason for God by Tim Keller). I can't imagine how people can live without faith. Knowing that God is here, walking beside me, holding my hand -- I am so grateful.